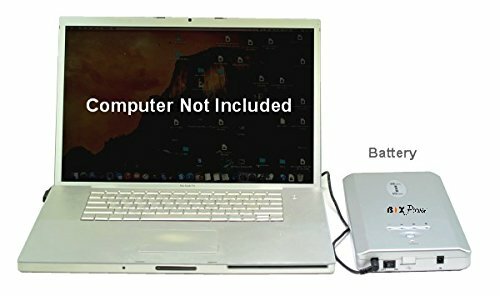 Super high capacity, long run time, external universal battery pack with MagSafe compatible and MagSafe2 compatible connector for Apple Macbook / Macbook Air and Macbook Pro computers. 15V DC output voltage works for Macbook computers that require 14V ~ 16.5V power. 19v DC power output voltage powers Macbook computers that require 18V ~ 21V power. Most Macbook computers' internal battery capacity is around 50Wh to 75 Wh, but this battery capacity is 223Wh. It may add an extra 10 ~ 30 hours running time. This battery is made with high quality Panasonic Lithium-ion battery cells. 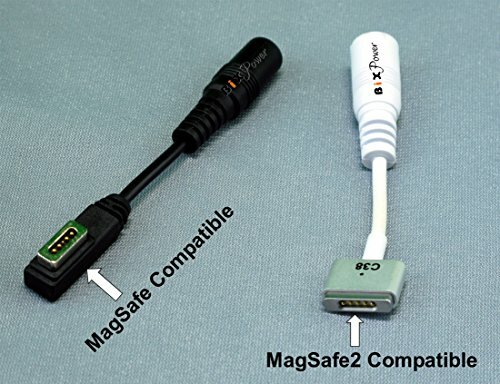 - 1 MagSafe Compatible connector tip. 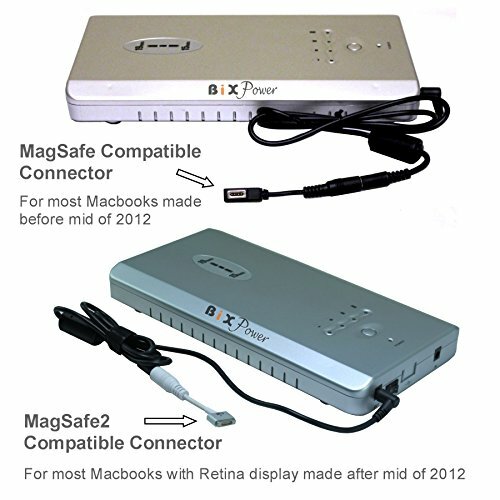 Super high capacity, long run time, external universal battery pack with MagSafe compatible and MagSafe2 compatible connector for Apple Macbook / Macbook Air and Macbook Pro computers. Made with high quality Panasonic Li-ion battery cells. Compact size can easily fit into a laptop/notebook carry bag. It may add extra 10 ~ 30 hours running time. Comes with 1 Output Power Cable, 1 MagSafe Compatible connector tip & 1 MagSafe2 Compatible connector tip. User selectable ouptut voltages. 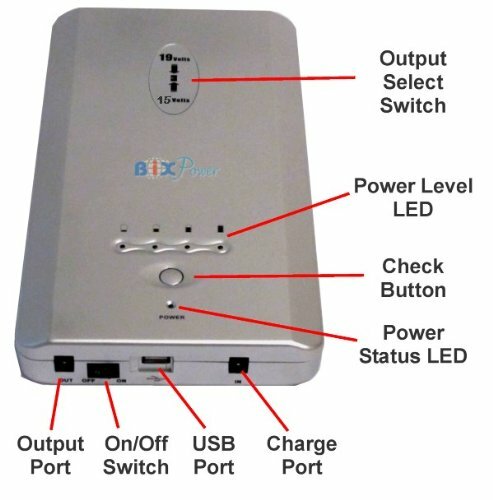 15V output voltage is compatible with Macbook computers that need 14V ~ 16.5V power. 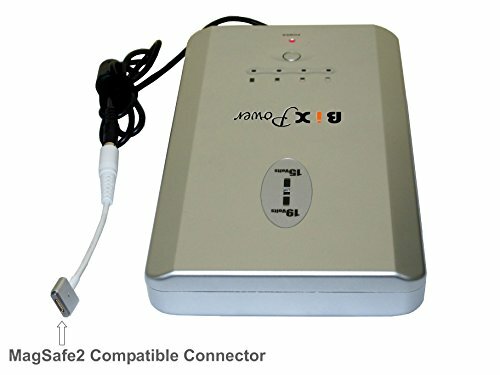 19V output voltage is compatible with Macbook computers that require 18V ~21V DC power. Comes with AC charger and Car charger. AC charger can charge the battery from 100V ~ 240V AC power outlets from home & office. Car charger can charge the battery from a car cigarette lighter socket. Can accept wide range input charging voltage ( 12V ~ 19V). 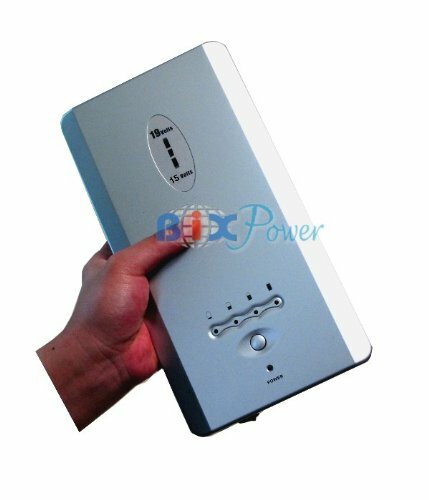 Travel by air: Please contact with your airlines to check whether this 223 Watt-hour capacity lithium ion rechargeable battery is allowed to be carried on airplane before traveling with this battery pack.